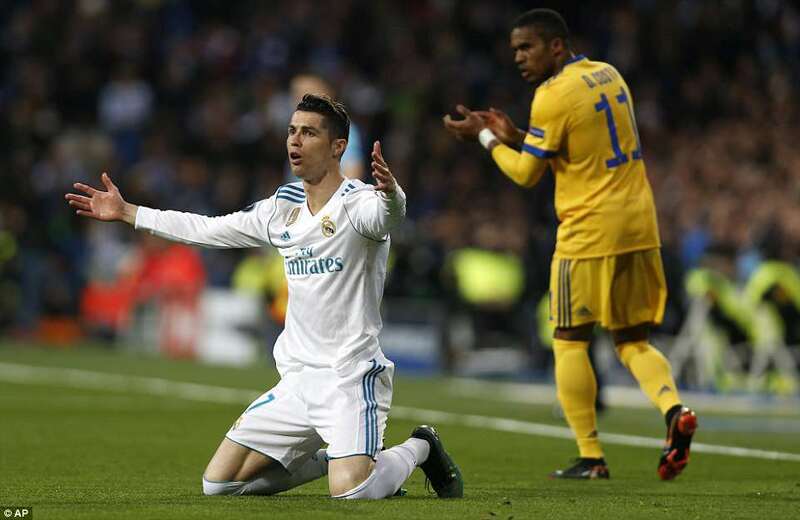 Cristiano Ronaldo’s injury time penalty meant Juventus were knocked out of the Champions League 4-3 on aggregate despite beating Real Madrid 3-1 on the night at the Santiago Bernabeu. 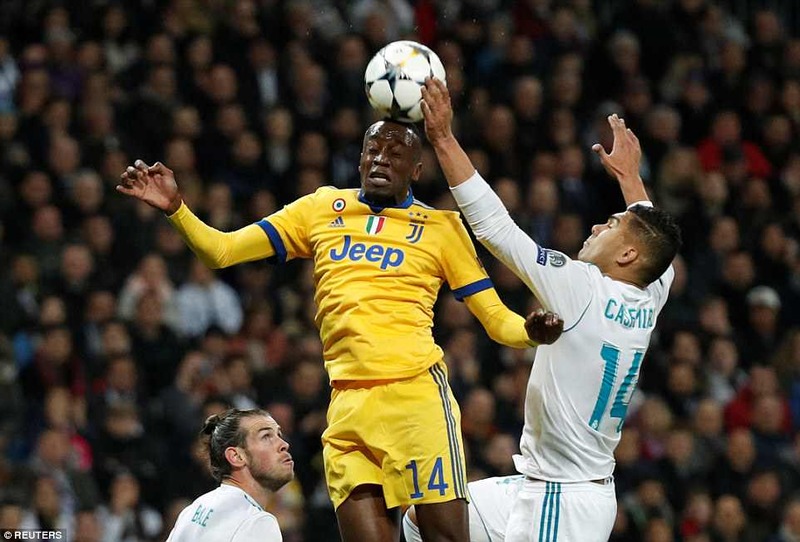 Comebacks can be contagious and whatever Barcelona and Roma had on Tuesday, Madrid and Juventus had a serious dose of it 24-hours later. This time the patient survived. 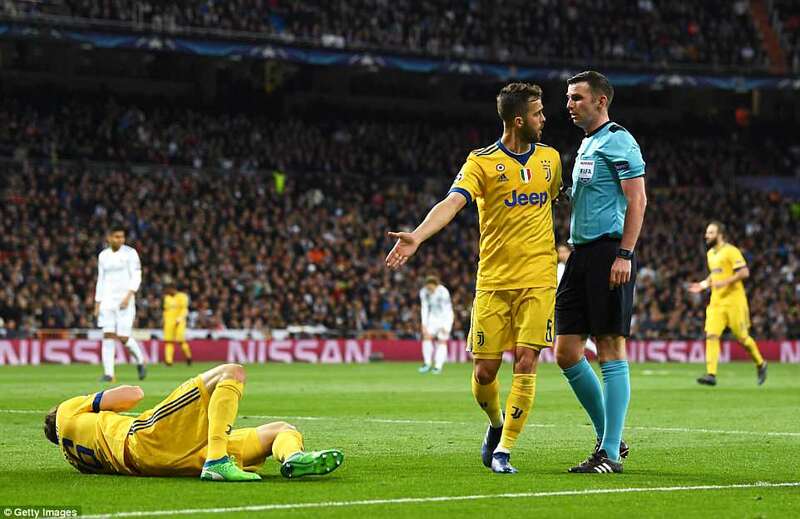 Real Madrid were rattled for 90 minutes but when Lucas Vazqeuz was put through by Toni Kroos and Medhi Benatia put a hand on his back he went down and English referee Michael Oliver pointed to the spot. 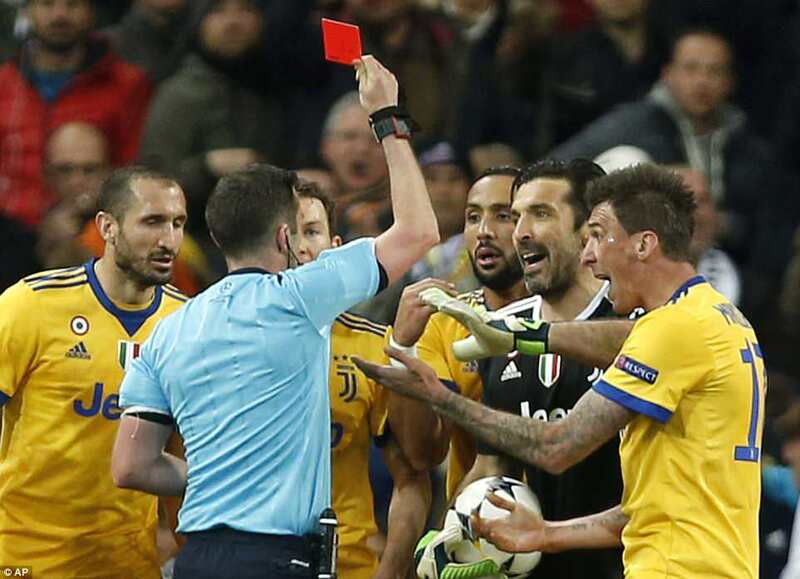 Gianluigi Buffon protested the decision and was sent off. 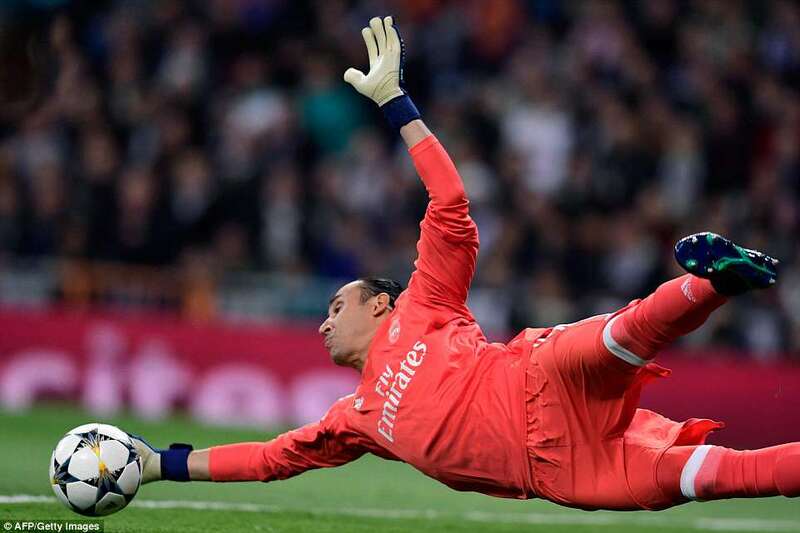 The Real Madrid supporters had always planned on giving the legendary goalkeeper a big ovation but never in these circumstances. They clapped him off and former Arsenal goalkeeper Wojciech Szczesny came on. 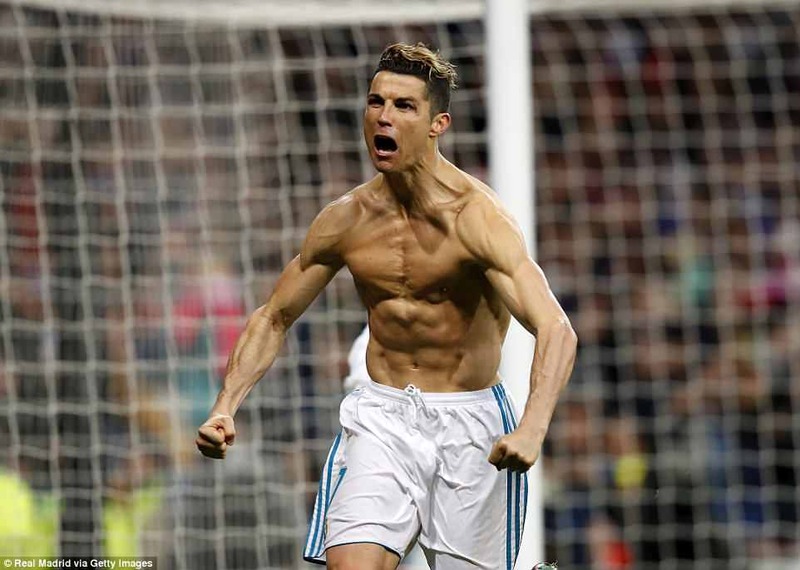 Ronaldo only had eyes for the net behind the keeper and he blasted the ball past the substitute to send Real Madrid into the semi-finals and Juventus out. 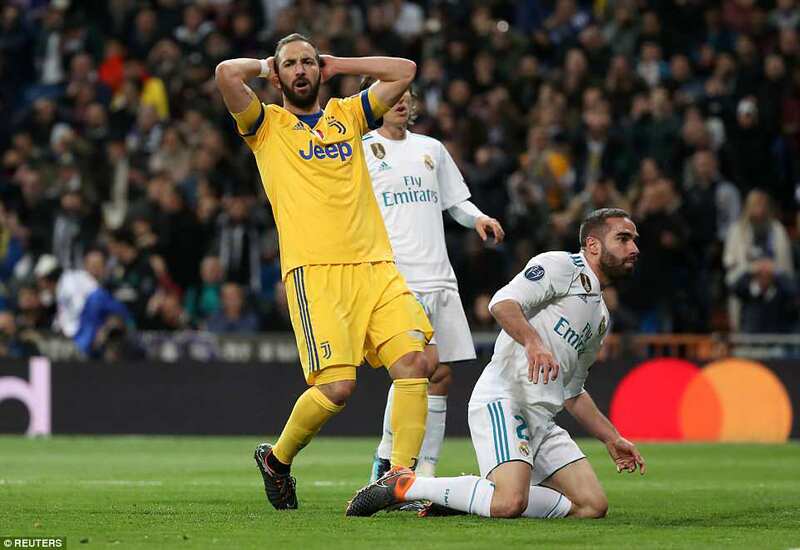 ‘Difficult’ does not begin to justify how Juventus made Madrid suffer for their qualification. They had been so rattled at the start of the game that they could have been 3-0 down after seven minutes. As it was, it was only one. 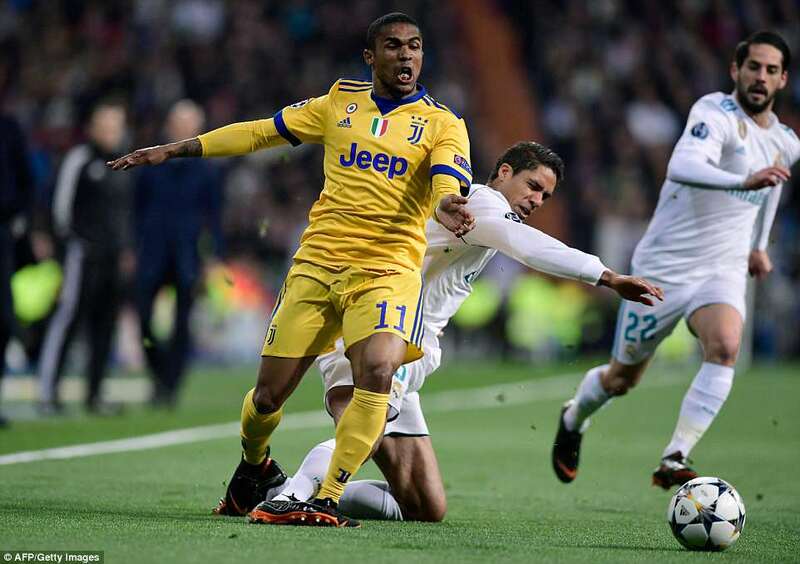 Douglas Costa combined with Sami Khedira and Mario Mandzukic scored at the back post in the second minute. 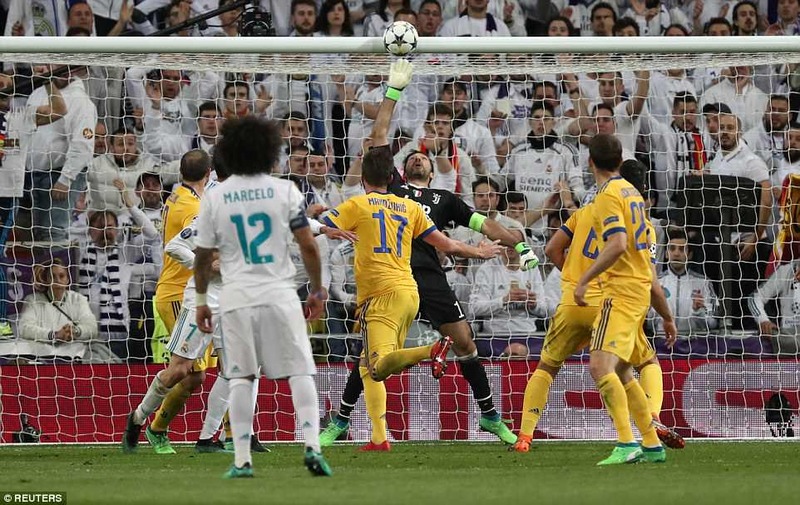 Gonazalo Higuain then had a shot cut out by Jesus Vallejo and a second effort from close range saved by Keylor Navas. With Sergio Ramos suspended Madrid had 21-year-old Vallejo and Raphael Varane bumping into each other in the centre of their defence. Juventus were showing the same spirit of Wembley that saw them turn Tottenham over. But could it last? 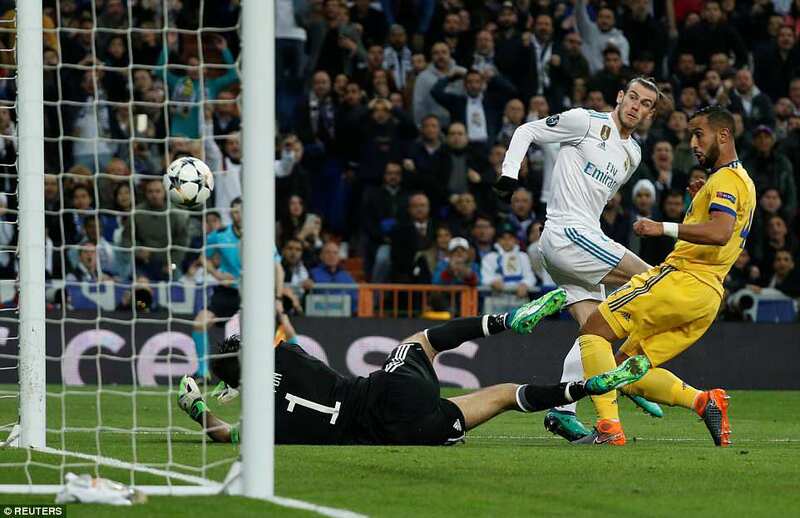 Gareth Bale had a shot saved by Buffon and he back-heeled the rebound into the side-netting. Isco then had a goal ruled out for offside. 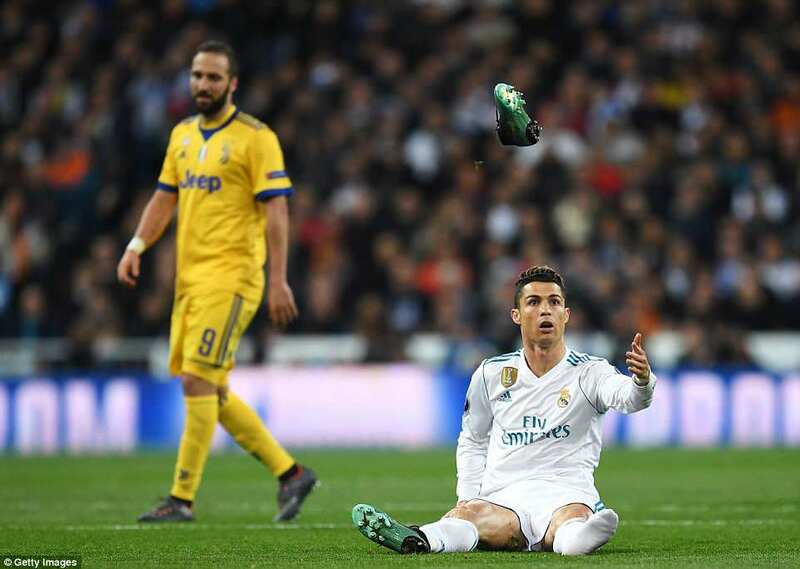 Ronaldo – who had nutmegged Mattia De Sciglio inside the first 30 seconds – tried the same on Benatia and was flattened. 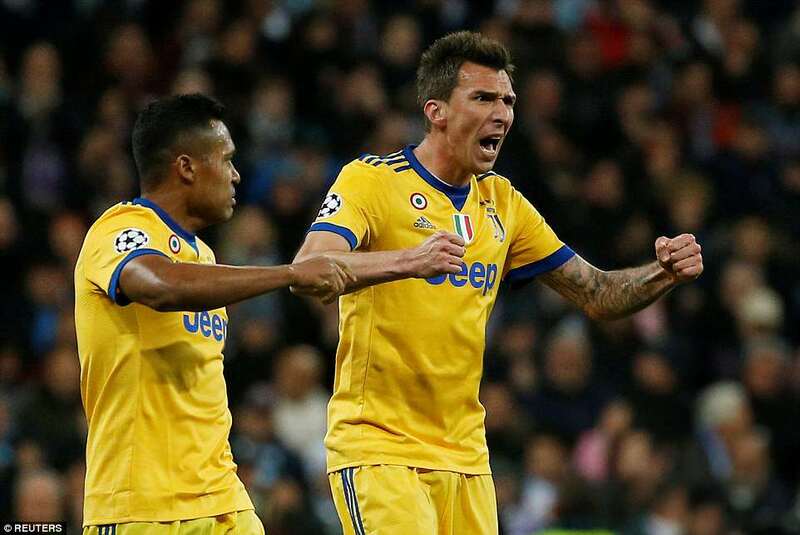 Stephan Lichtsteiner was the next to foul the Portuguese, playing his 150th Champions League game. 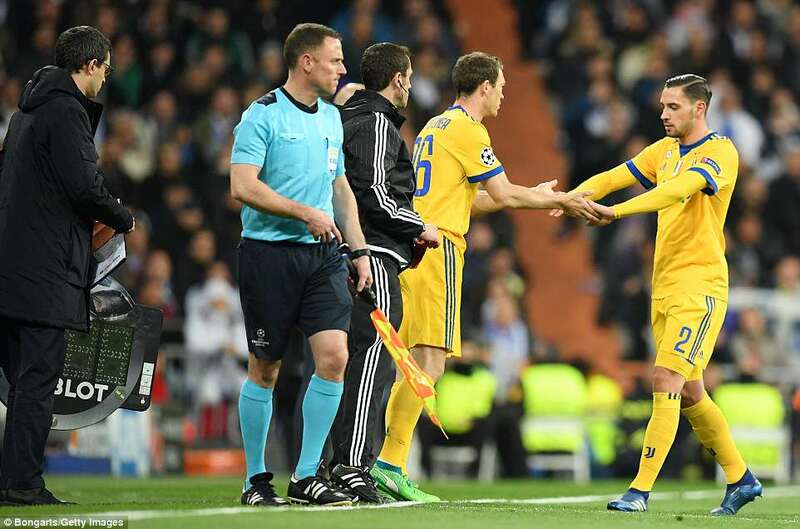 The substitute had come on for De Sciglio and Ronaldo lost his boot in the clash. Lichsteiner went into Oliver’s book for his next foul on Ronaldo. 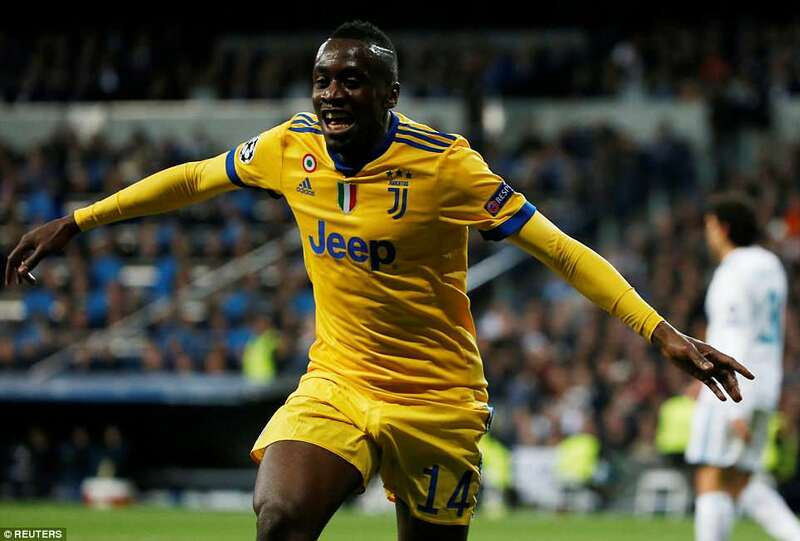 He was proving a liability at the back but on 38 minutes he appeared at the other end and made the second goal with a cross to the back post that Mandzukic converted. 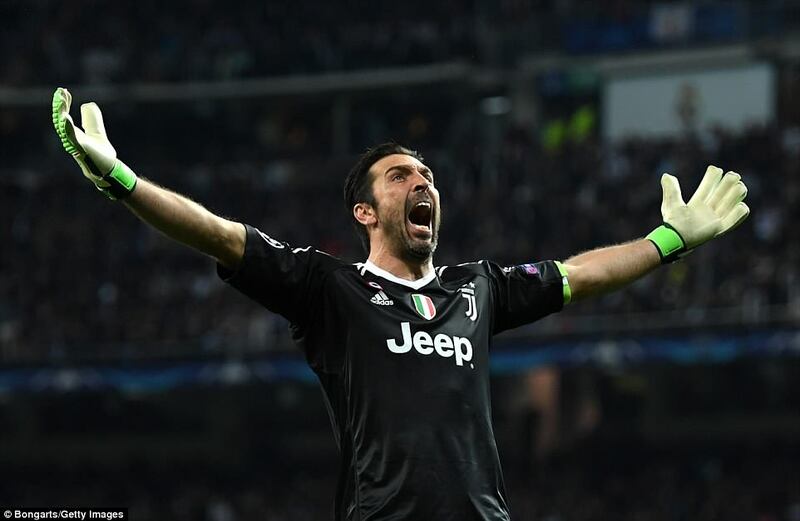 Buffon jumped up and down in his area to celebrate and raised a fist to Juventus supporters as he walked off at half time. One more goal and they would be level. Madrid had almost scored just before the break when Raphael Varane headed on to the bar but Zidane had seen enough and sent Vazquez and Marco Asensio on to replace Casemiro and Gareth Bale. It did not change the narrative. On the hour Juventus were level in the tie. 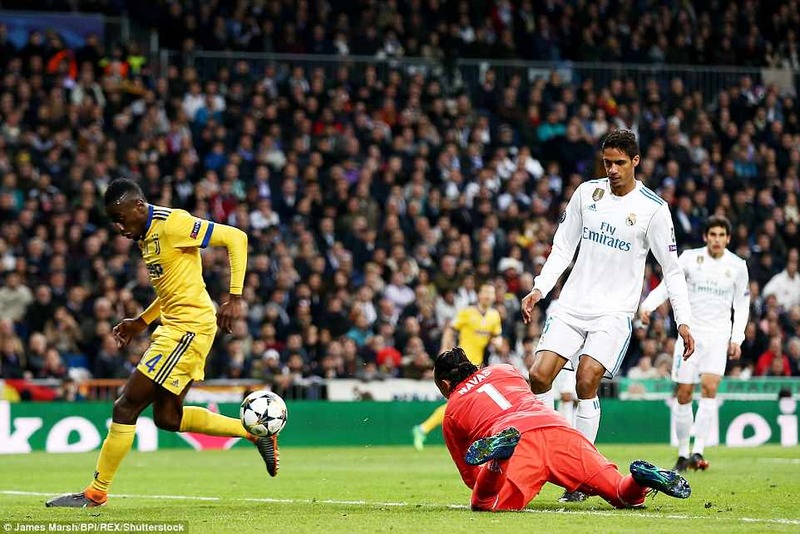 Navas failed to gather and Blaise Matuidi turned the ball over the line to complete the incredible comeback. 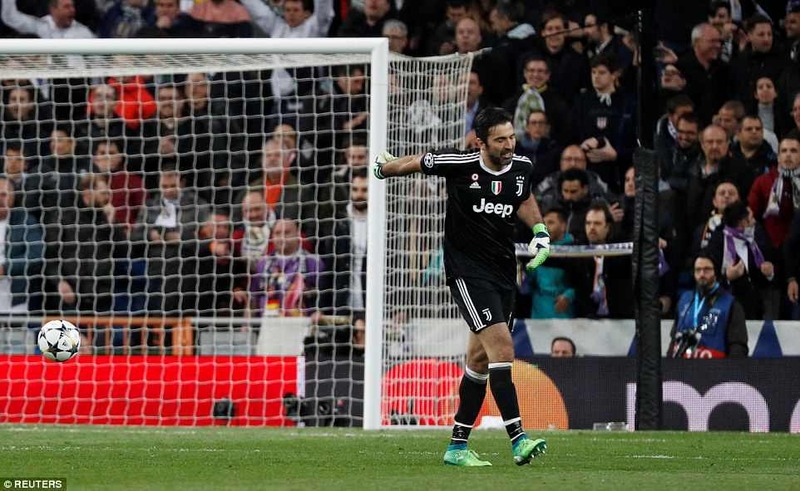 Again no-one celebrated the goal more than Buffon. 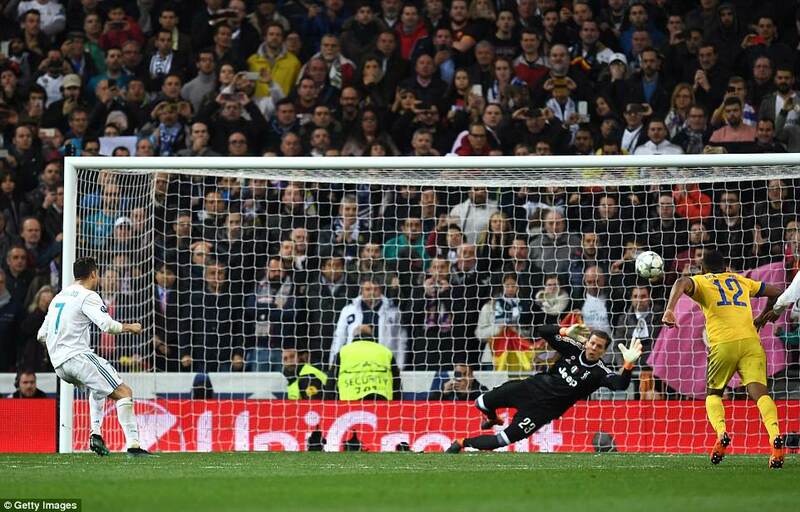 He then saved brilliantly from Isco, turning the midfielder’s shot round the post. 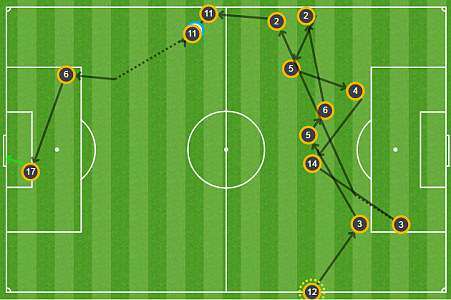 Madrid now knew that another Juventus goal would leave them needing two but they camped in Juventus’ half regardless. 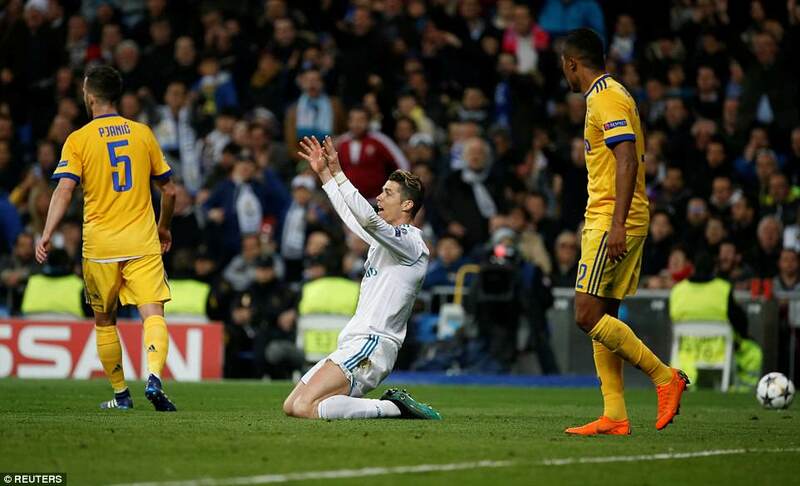 Ronaldo went down more in hope than expectation of getting any thing from referee Oliver. Juventus who had spent the first half betraying their tradition by flying forward with abandon had now reverted to type. There seemed no way through until Vazquez tried to wriggle clear and Ronaldo rammed in the resulting spot kick.